Web content management (WCM) systems allow users to create, edit, and publish digital content such as text, embedded audio and video files, and interactive graphics for websites. For users that do not have coding skills, these systems make the process of uploading and writing content simple by offering theme-oriented templates for unique design. WCM systems are generally used in collaborative scenarios where multiple team members can monitor and manage web content. WCM solutions are most frequently used by digital marketing and creative teams. WCM systems can be plugged into third-party hosting platforms that provide more complete website management functionality. Some WCM systems can integrate with marketing software, third-party CMS tools, or content analytics software. Others may provide functionality for digital asset management and web design. They share features with enterprise content management (ECM), digital experience platforms (DXP), and e-commerce platforms. Web Content Management reviews by real, verified users. Find unbiased ratings on user satisfaction, features, and price based on the most reviews available anywhere. Solodev is the premier CMS built for AWS -- the most secure and extensible cloud hosting infrastructure on the planet. Solodev offers users the freedom to build, customize, iterate, and test on one reliable platform. Organizations of all sizes use Solodev to integrate their favorite third-party resources into one central location, streamline their work flows, and unify developers, marketers, and content creators under one CMS. Leading brands aren’t restricted to templates and only pay for the features and modules they need. Solodev offers 24/7/365 U.S.-based support as well as an extensive collection of DIY resources for developers. Don't just make websites. Make web experiences that increase engagement, drive inbound leads, and bring your most creative ideas to life online. Voted “Best Cloud Website CMS of 2016” by CMS Critic and winners of the 2017 AWS “City on a Cloud Innovation Challenge,” Solodev ensures customer success with 24x7x365 U.S. based support. Solodev is sold directly at www.solodev.com, via the Amazon Web Services Marketplace and through the Federal GSA contract. Joomla! is a free and open-source content management system (CMS) for publishing web content. Over the years Joomla! has won several awards. It is built on a model–view–controller web application framework that can be used independently of the CMS that allows you to build powerful online applications. Joomla! is one of the most popular website softwares, thanks to its global community of developers and volunteers, who make sure the platform is user friendly, extendable, multilingual, accessible, responsive, search engine optimized and so much more. What's a content management system (CMS)? The definition of a CMS is an application (web-based), that provides capabilities for multiple users with different permission levels to manage (all or a section of) content, data or information of a website project, or intranet application. Managing content refers to creating, editing, archiving, publishing, collaborating on, reporting, distributing website content, data and information. Joomla! in the real (online) world Joomla! is used all over the world to power millions of websites of all shapes and sizes. Discover examples of companies using Joomla! in the official Joomla! Showcase Directory. Joomla! can be used for: Corporate websites or portals, intranets and extranets Small business websites Online magazines, newspapers, and publications E-commerce and online reservations Government, non-profit and organisational websites Community-based, school and church websites or portals Personal or family homepages ... Being a web agency, how can Joomla! help me? If you’re an agency who develops websites for your customers, Joomla! is the perfect tool for you (have a look at our benefits and features). Designed to be easy to install and set up, even if you're not an advanced user. With a short learning curve (we provide free video training as well) you’ll be able to quickly build sites for your clients. Then, with a minimal amount of instruction, you can empower your clients to easily manage their own sites themselves. If your clients need specialised functionality, Joomla! is highly extensible and thousands of extensions (most for free under the GPL license) are available in the Joomla! Extensions Directory. As a developer, can I use Joomla! in a more advanced way? Some companies and organisations have requirements that go beyond what is available in the Joomla! Core package. In those cases, Joomla's powerful application framework makes it easy for developers to create sophisticated add-ons that extend the power of Joomla into virtually unlimited directions. The core Joomla! Framework enables developers to quickly and easily build: Inventory control systems Data reporting tools Application bridges Custom product catalogs Integrated e-commerce systems Complex business directories Reservation systems Communication tools Since Joomla! is based on PHP and MySQL, you're building powerful applications on an open platform anyone can use, share, and support. To find out more information on leveraging the Joomla! Framework, visit the Joomla! Framework site. Joomla! seems the right solution for me. How do I get started? Joomla! is free, open, and available to anyone under the GPL license. Read Getting Started with Joomla! to find out the basics. If you're ready to install Joomla! by yourself: Download the latest version of Joomla! You can find it on the Joomla! Downloads Portal, you'll be up and running in no time. And if you need any help, visit our official forums and documentation. You can also watch our training videos. Joomla! provides also another way to get started without having to install it: Free website on launch.joomla.org This is the easiest way to start your first Joomla! website immediately. You can launch a totally free and fully functional website in seconds and start publishing your content online immediately. Americaneagle.com empowers our clients with an easy to use Content Management System (CMS). The Americaneagle.com idev® Content Management System(CMS) has evolved over the past 20 years to be a highly robust, highly flexible solution. idev CMS is constantly evolving and can be fully customized, yet the core platform can easily handle everything from a small consulting firm site to a large multi-site enterprise organization. Small or big, B2C or B2B - your business is constantly evolving. Shouldn’t your website have the same flexibility and allow for future growth? Enter idev® CMS, the platform that has the usability you need now with the scalability you’ll need later. With a vast suite of tools for small to enterprise-sized businesses, your idev® CMS-powered website will keep both employees and customers happy. From Fortune 500 companies to start-ups, businesses and organizations of all sizes have found success with the idev® CMS. It’s scalable enough to handle the needs of small and large organizations, yet powerful enough to easily handle multi-site, multilingual, and ecommerce platforms with thousands of pages and rich functionality. Unlike other content management platforms, idev® CMS is created, updated, and implemented by the same company. You’ll never have to wonder who to call if something goes wrong or wait months for an “official” release to upgrade to the latest tools. As a true end-to-end online solutions provider, we design, develop, maintain, host, customize, market, consult, and more, ensuring you’ll get a CMS deliverable that meets your online goals. There’s no hitting the wall with what the idev® CMS can do. If you have a specific business need, our team can develop custom modules, functionalities, and third party integrations as needed. Your CMS also comes with perpetually licensed source code, allowing for your developers to update the framework. While the idev® CMS offers a wealth of intuitive tools, it’s also a completely developer-friendly platform. Developers and designers alike can add modules, edit templates, and access the framework as needed. Scalable From Fortune 500 companies to start-ups, businesses and organizations of all sizes have found success with the idev® CMS. It’s scalable enough to handle the needs of small and large organizations, yet powerful enough to handle multi-site, multilingual, and ecommerce platforms with thousands of pages and rich functionality with ease. User-Friendly Your website is a crucial aspect of your business. It has to be up to date and fresh. Tools like the drag-and-drop page builder, asset manager, form builder, and more make it easy to add new pages and content to your site. Built-in style sheets and templates and rich formatting ensure a consistent look and feel, no matter how often your site is updated. Dependable Unlike other CMS platforms, idev® CMS is created, updated, and implemented by the same company. You’ll never have to wonder who to call if something goes wrong or wait months for an “official” release to upgrade to the latest tools. 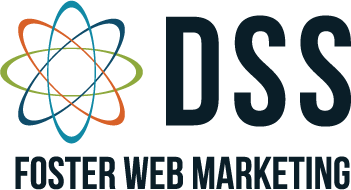 As a true end-to-end digital solutions provider, we design, develop, maintain, host, customize, market, consult, and more, ensuring you’ll get a CMS deliverable that meets your online goals. Extensible There’s no hitting the wall with what the idev® CMS can do. If you have a specific business need, our team can develop custom modules, functionalities, and third party integrations as needed. Your CMS also comes with perpetually licensed source code, allowing for your developers to update the framework. Adjustable While the idev® CMS offers a wealth of intuitive tools, it’s also a completely developer-friendly platform. Developers and designers alike can add modules, edit templates, and access the framework as needed. Mozilla Webmaker helps you make something amazing with the web. Tools, projects to help you get started, and a global community making and learning together. Concrete5 is a content management system written in the PHP programming language. Building relationships between schools and communities. Ghost is an open source publishing platform which is easy to use, and free for everyone. Kentico EMS is the only fully integrated ASP.NET CMS, E-commerce, and Online Marketing platform that allows you to create truly optimised digital customer experiences across multiple channels. With Web Forms, Continuous Integration, GDPR and Data Protection, and MVC development fully supported across the platform, Kentico empowers your developers to deliver state-of-the-art websites and experiences faster. What’s more, Kentico’s powerful Campaign Management features, including Advanced Email Marketing and Marketing Automation, allow your marketers to unleash their creative potential and run highly effective campaigns that convert prospects into customers. Provide your developers and marketers with the innovative freedom they need. Drive customer loyalty, improve and refine your digital strategy, and give your brand impressive global presence. Simple. Intuitive. Affordable. With the Captavi Platform you can manage all your inbound and outbound marketing efforts in one, easy-to-use platform. Acquire and retain customers with integrated digital marketing and seamless CRM. All-in-one digital marketing automation platform. Elcom is a digital transformation platform used by medium and large enterprise organizations when the timeline, risk, and costs are critical for websites, intranets, online learning, portals and mobile solutions. The multi-site enabled design of Elcom provides you with ability to manage multiple sites all on a single instance – saving on costs, administration time and improving performance. Elcom comes standard with over 90+ base features, including enterprise search, forms and workflow out-of-the-box. Elcom has all the core features needed for your digital workplace. The modular approach supports the addition of extra functions as your needs change and grow. Elcom is fully mobile responsive, AA compliant and able to integrate to many other operational systems for two way data exchange. Using Elcom makes it easy for you and your audiences to connect, communicate and collaborate, to effectively and efficiently achieve key outcomes across all channels, on any device anywhere in the world. Write.as is a simple blogging platform built to publish your writing quickly. Behind our clean, distraction-free editor is a powerful API that enables you to build your own tools on the platform, utilize us as a headless CMS, and create more powerful products on our infrastructure. OU Campus is a web content management system for colleges, universities, and other higher education institutions. Episerver CMS is a market-leading web content management system and digital marketing suite. It enables editors to drag-and-drop content to quickly create new digital experiences that are automatically responsive. With Individualized Content with Episerver CMS, our market-leading solution empowers users to manage content and campaigns in one screen. What's included: •	Episerver CMS - A market-leading CMS loved by editors and developers. •	Episerver Find - Enterprise search that can dynamically build landing pages. •	Episerver Advance - AI-powered personalization for content. •	Episerver Insight - Automatically capture and analyze visitor data. Flockrush helps B2B companies create smarter content experiences that make it easy for customers to buy. Marketers can now simply repurpose successful, pre-existing content to expedite post-click conversion, maximize revenue and create unparalleled loyalty. Wagtail is an open source CMS written in Python and built on the Django framework. Built by developers for developers, It offers a fast attractive interface for editors where content can be created and structured intuitively. Umbraco is an open source ASP.NET CMS with over 500,000 active installs worldwide and with more than 200,000 active community members. The Umbraco CMS is a beautiful combination of Umbraco HQ employees and the friendly and dedicated open source community. This perfect combination creates an innovative environment that has made Umbraco one of the fastest growing platforms to build websites for companies of all sizes. Plone is among the top 2% of all open source projects worldwide. It is widely accepted that Plone has the strongest security functionality of any open source CMS available today. Hippo CMS, the content performance platform, is an open source Java web content management system designed for creating personalized omnichannel web experiences. Hippo’s lightweight, agile architecture enables the enterprise to go beyond managing and repurposing content. With Hippo, businesses can identify which content resonates with audiences, personalize content delivery and ultimately measure content’s performance in supporting business goals. Hippo’s flexible architecture is built for integrations with other best of breed solutions, and can be deployed locally or to a cloud infrastructure (e.g. Amazon EC2). Hippo is the only open source Java web content management technology on the 2015 Gartner Magic Quadrant for WCM. With a java and spring based technology stack, Hippo integrates with CRM, Marketing Automation, ecommerce and social solutions to support end to end digital experiences. Hippo hooks easily into external data systems to progressively profile visitors and increasingly personalize content delivery based on contextual data such as geolocation, weather, time, device used etc. and behavioral data such as site navigation, history and backlinks. Quokka is a flexible content management platform powered by Python, Flask and MongoDB. Why Use Web Content Management Software? Who Uses Web Content Management Software? Web content management tools exist to organize, store, distribute, and protect content that users intend to publish on the web. Types of content include, but are not limited to, text documents, photos, videos, web graphics and animations, and more. The platforms provide users a repository that can assist in brand development and content curation for diverse organizations. Whether it’s a blog, an online store, personal portfolio, or website for a political campaign, WCM tools can help prepare and organize content for exposure. In many cases, WCM tools offer an assortment of templated web pages, from which site administrators can browse and choose. This assists organizations that wish to have a respectable web presence but lack the ability to create code in a professional capacity. Some WCM solutions offer drag-and-drop features that make websites more customizable, while others have more limitations. Some even make room for HTML-savvy employees to input their knowledge to customize websites that match their unique vision. Web content management tools provide both a back end and a front end to operations. The back end is where administrators log in to edit pages, update content, and access communications that may have been submitted through comment boxes or other forms. This is where settings and features can be adjusted, depending on an organization’s subscription level. The front end of a WCM tool is the website itself. It’s the homepage that users land on, the contact page where visitors get in touch with the organization, or the team page where users learn who is behind the magic. Many web content management tools are geared toward users with a marketing mind. The goal of most any website or organization is to grow a large, loyal usership or customer base. WCM tools can help with these efforts by providing tools for A/B testing, lead generation, and automation of content release. A key difference between web content management tools and other CMS platforms (business content management, enterprise content management) is that WCM tools can both prepare and publish content. Business and enterprise content management tools assist with content creation, distribution, and storage, but provide no option to publish. Their usage is more limited to internal efforts. An organization might use an ECM tool to store company reports and HR paperwork, but utilize a WCM tool to update its public blog. Web content management tools are unique in their ability to create front-facing websites for an organization to attract current or potential clientele. Some need no code with their templates and drag-and-drop features, or they can allow for the input of HTML. The features that define the difference between WCM tools and website builders are the back-end, admin-facing capabilities. WCM tools can be helpful for marketing teams, lead generation for sales, data storage, and file organization by putting all of these functionalities in one place. Web content management systems can be used to solve a variety of problems frequently encountered by digital marketers. In their reviews, users reported establishing a blog presence, increasing web traffic, and designing and administering digital content without coding knowledge as three of the most significant business problems solved with web content management solutions. WCM tools can be used to increase impact within a company’s marketing efforts. Web content management software can allow for the creation of landing pages and analyze visitor traffic and data for specific marketing campaigns. Administrators can automate content publication and integrate the WCM tool with existing emails to simplify email marketing campaigns. Blogs have become an increasingly popular way to share content. Free from the confines of a main web page, blogs allow for a greater level of creativity and provide a new platform to connect with a target audience. Web content management tools greatly assist in the creation of a quality blog––this is mainly due to ease of content customization and the scalability features these solutions provide. Working alongside CMS tools, web content management software allows users to easily edit and manipulate digital aspects of a blog, giving multiple admins complete control over content and overall appearance. With autonomous blog power, fresh content with strategic SEO practices helps establish a credible platform, leading to higher-quality material and more page visits. Increasing web traffic is a top priority for many businesses. Web content management systems, coupled with CMS tools and specialized plugins, offer features that help boost SEO and create a stronger community around content using social media. Social media plugins help weave all forms of content together. Websites or blogs managed by a web content management system can be automatically generated into RSS feeds that not only allow for greater content cohesion, but can increase the number of subscribers and readers to a site. A common limiting factor for website and blog designers is lack of HTML or basic coding knowledge. Web content management systems help mitigate this problem with WYSIWYG editors and other tools specifically designed for non-coders. WCM tools with drag-and-drop functionality enable better ease of use and allow for greater customization with fewer pain points. Automated templates provided by WCM software provide users with a central hub for all types of content, allowing for consistency and brand establishment across all channels. Web content management (WCM) systems allow users with limited knowledge of web programming languages to create, edit, and publish digital content such as text, embedded audio and video files, and interactive graphics for websites. Web content management software can be useful for any individual or company looking to create a website or blog painlessly. The goal of any web content management tool is to ensure users can easily create and publish content, even users without design or coding experience. Part of what makes web content management solutions so popular is their incredible ease of use. These systems are typically utilized by creative teams, digital marketers, and web developers, making the process of uploading and writing content simple. However, companies with content creators in multiple departments will often have access to a WCM to guarantee an efficient workflow. Web content management products can vary widely, but all of them have approximately the same base features at their core. These are features you can expect in most, if not all, web content management systems. Content Authoring – Drafting and publishing content is intuitive and non-technical. Rich Text Editor – Formatting content is straightforward and painless. Versioning – Keep track of incrementally changing versions of the same content. Plugins/Widgets/Apps – Available gadgets and modules suit the needs of your site and are easily incorporated onto the page. Approval Process – Can easily institute an approval routing process between authors and editors. Content Queue – Easily schedule content to be published at a certain time and in a certain order. Asset Management – System allows the storage and management of rich media files. Internal Search – Able to search your content based on keyword, metadata, tags, etc. Content Repository – Content—both published and yet-to-be published—can be intuitively managed, edited, tagged, approved, and stored. Plenty of web content management products have started offering additional features aside from the typical functionality expected. There is plenty of variation within WCM products, and these are examples of a few of the features we have seen offered by some. Prebuilt Templates – The software provides a wide breadth of free or purchasable site templates that are attractive and suited to your web pages' needs. Mobile Templates – Effective mobile templates are available and easily customizable. Branding/Themes – Consistent design elements across sites (including personalized brand components) unites web pages into a coherent online presence. Customization – The visual appearance of web pages can be easily customized to fit your site’s needs. User Community – The system has a large and interactive community of users. SEO – Pagination, page headers and titles, meta tags, and URL structure all contribute to site SEO. Flexible Navigation Structures – Users are able to build out different and multiple taxonomies to store and index content. User Access and Permissions – The ability to grant access to select data, features, objects, etc., is based on the users, user role, groups, etc. Internationalization – Enables users to view and interact with the same content in multiple languages. Dashboard and Reports – Access pre-built and custom reports and dashboards. Application Programming Interface (API)/Integrations – This specifies how the application communicates with other software. APIs typically enable integration of data, logic, objects, etc., with other software applications. Enterprise Scalability – Provides features to allow scaling for large organizations or an expansive web presence. The resources required to effectively maintain a digital brand aren’t cheap. Open-source implementations have the added cost of developer resources, which can be fulfilled in house or through contracted services. Even proprietary vendors with customer support often still require substantial resources to configure and troubleshoot the system. This cost persists for sites that need continual customization or recur when a firm decides to upgrade software versions. Digital asset management software typically integrates with web content management systems so marketers ensure a smooth lifecycle for assets from creation to publication. Website builder software provides the same website templating, design, and publishing features as a web content management system. However, web content management systems tend to be better for web pages expecting lots of updates or uploaded content. Digital experience platforms (DXP) have been adopted by companies looking for more functionality than typically provided by a traditional web content management system. DXPs combine the functionality of a web content management system, a digital asset management system, a website builder, and an analytics tool.